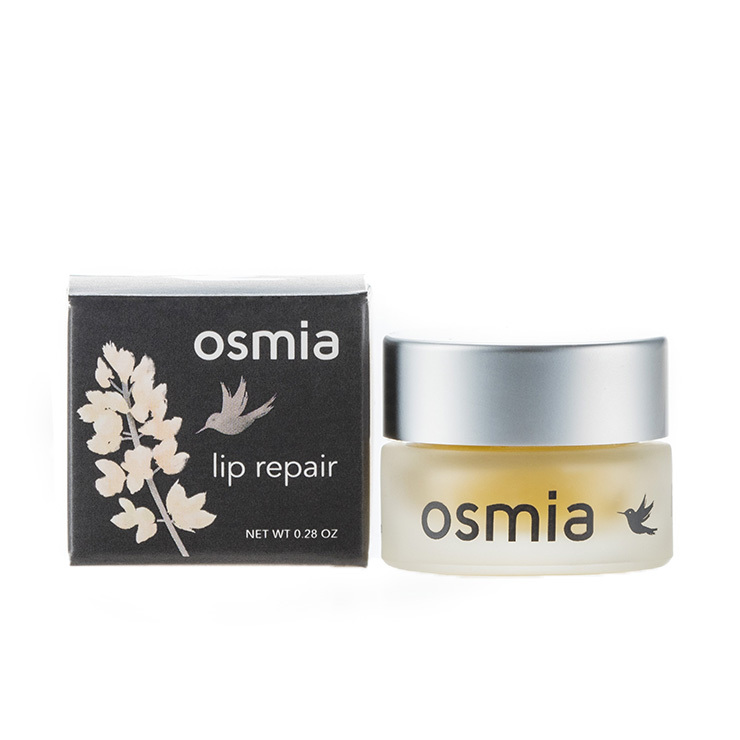 Relieve the discomfort of dry, cracked lips with Osmia Lip Repair. Made with manuka honey to offer the feeling of softening and healing to extremely dry and damaged lips, myrrh lends a reparative and soothing sensation. Cupuacu is added to moisturize and improve the appearance of chapping, while tamanu addresses signs of imbalance and irritation. May also be used on and inside the nose to diminish the appearance of redness and dry, flaky skin. Apply to lips and nose as necessary for a feeling of moisturization and soothing on dry, cracked skin. Use nightly to keep lips looking and feeling their healthiest. Ricinus Communis (Castor Bean) Oil*, Beeswax*, Cupuacu Butter, Lanolin, Non-GMO Mixed Tocopherols, Manuka Honey*, Calophyllum Inophyllum (Tamanu) Oil*, Wild Commiphora Myrrh (Myrrh) CO2 Extract, And Bergapten-Free Citrus Aurantium Var. Bergamia (Bergamot) Essential Oil*.